The 18-year-old was last seen walking near her home at Roseberry in Newbridge, Co Kildare, at around 3pm on 28 July 1998. 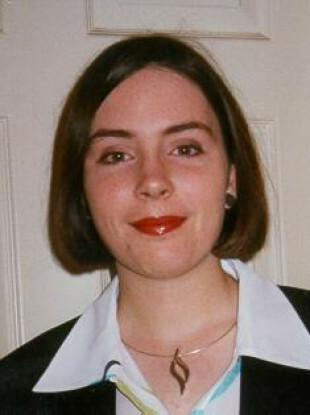 Deirdre Jacob was last seen on 28 July 1998 near her home in Newbridge, Co Kildare. GARDAÍ INVESTIGATING THE disappearance of teenager Deirdre Jacob, who went missing 20 years ago, have upgraded the case to a murder investigation. Investigators carried out a number of significant enquiries to establish her whereabouts since her disappearance over the last 12 months, but new information has led gardaí to upgrade the case to a murder probe. An incident room has now been set up at Kildare Garda Station, and the investigation team are following a number of lines of enquiry. Gardaí are appealing to anyone with information in relation to the case to come forward, particularly those who may not have come forward in the past. Sutton told RTE Radio 1′s Morning Ireland that Deirdre’s immediate family members, Bernadette, Jacob, and Mick, had been made aware of developments in the case. He also revealed that gardaí had revealed “substantial” new information which had caused the case to be upgraded, but did not disclose what this was. “We appeal for information on all investigations on a daily basis, and we have to treat this information with confidentiality,” he said. He added that investigators are confident there are more people with crucial information in relation to the case who have yet to come forward. The investigation team can be contacted at Kildare Garda Station on 045 521222 or the Garda Confidential Line 1800 666 111. Email “Gardaí upgrade disappearance of Deirdre Jacob to murder investigation”. Feedback on “Gardaí upgrade disappearance of Deirdre Jacob to murder investigation”.